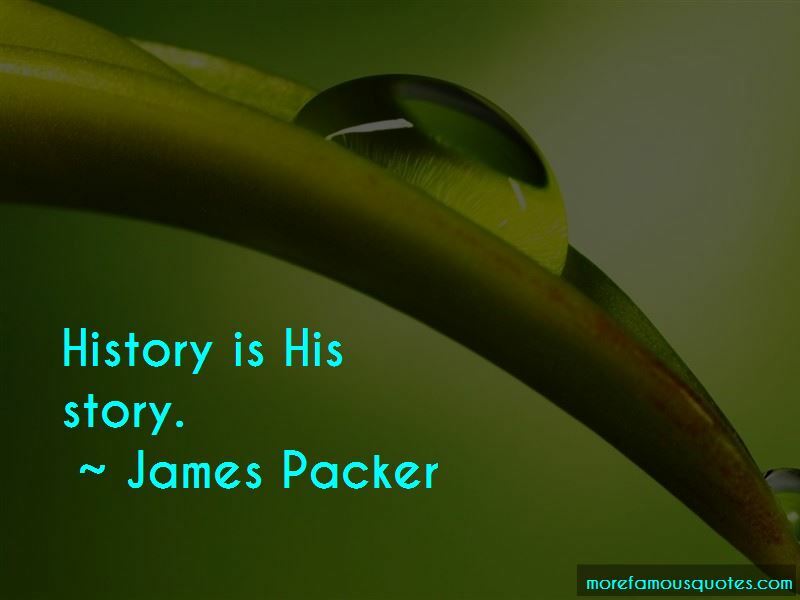 Enjoy the top 30 famous quotes, sayings and quotations by James Packer. In a perfect world we don't want to be overly dependent on any single asset or be so dependent on the cycle or where one asset is the bulk of this company. I'm a great believer in new technology and I think new technology is very scary for newspaper companies. I am here to tell you my father was right. You are a raging f..kwit. Now f..k off. 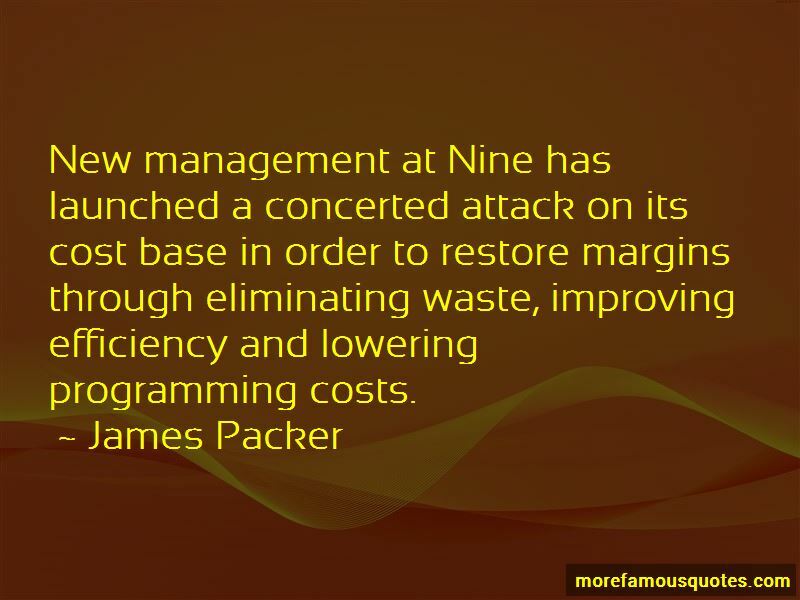 New management at Nine has launched a concerted attack on its cost base in order to restore margins through eliminating waste, improving efficiency and lowering programming costs. We have recognized that the world is changing. How your children are behaving, how their friends are behaving. What they consume and what they watch. I genuinely believe if we get the chance to do something in Sydney, the people of Australia will win out of that proposal. There will be jobs, taxes, tourism - there'll be more people coming to Australia looking to spend money and I think that is a good thing. This perception that the only people that come to Crown are helpless victims and we are just sitting there preying on them, you know, I reject that absolutely and that does upset me. And I think that that is, you know, that is a spin line from the latte set, which is completely wrong. You can say on one hand the market is crazy but it's not 1999. People have had their medicine from overexuberance. I find it really interesting that those two businesses, Yahoo! and Google, which are just online advertising businesses, are valued at more than the media behemoths in America. Stop viewing China like it's the Cold War. Start viewing them as a modern member of the industrialized world. 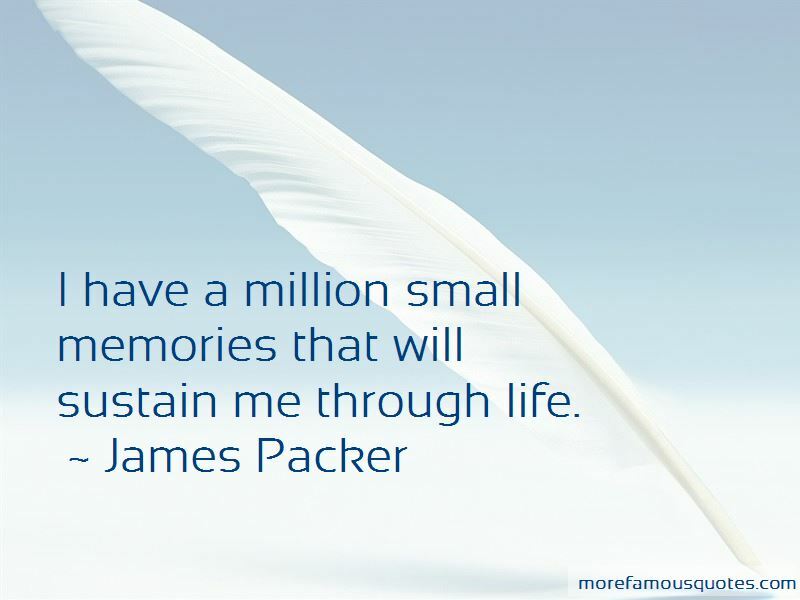 Want to see more pictures of James Packer quotes? 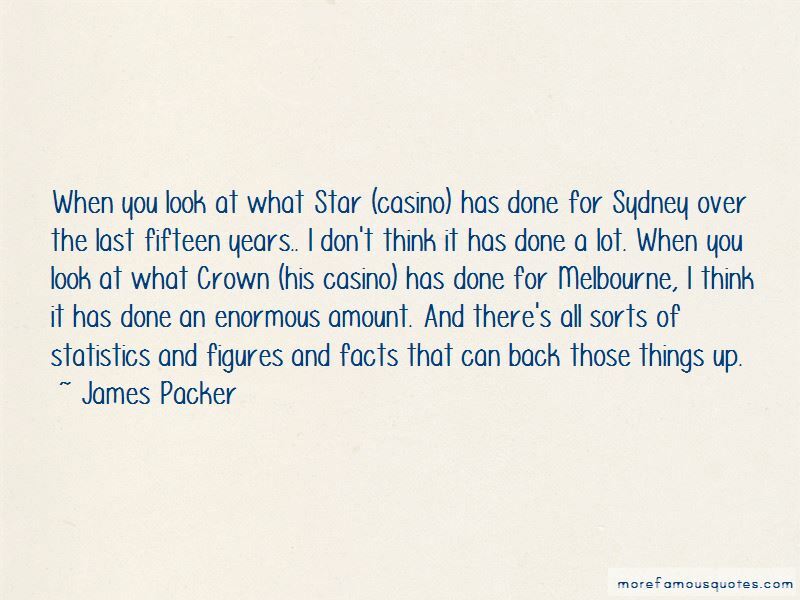 Click on image of James Packer quotes to view full size.